Co-Packing - Tropical Bottling Co.
For the innovator looking for the right co-packing partner to produce the next great beverage or an established brand looking for larger production runs, Tropical Bottling Corp. is here to help. We specialize in providing brands with the co-packing resources they need to grow their businesses. 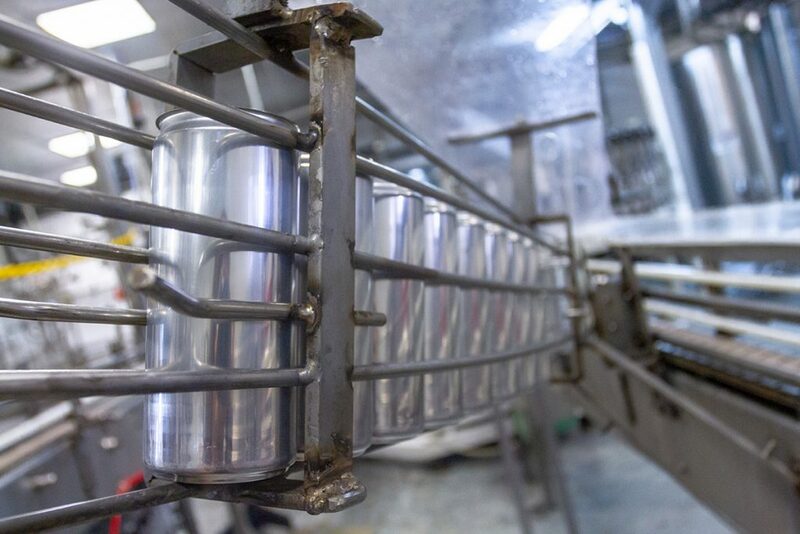 We offer a variety of can sizes and processes to meet the needs of a wide variety of beverage makers and are ideally located for shipments throughout the islands, the coastal United States and beyond. The filling lines at Tropical Bottling Company are configurable for cans in a wide variety of shapes and sizes, including slim and regular cans ranging from 7.4 ounces to 16 ounces. We can assist you with finding the can that best appeals to your target audience and expertly package it for you. Our facility also has the ability to provide cold fill and hot fill/cold fill with pasteurization, which allows us to produce carbonated soft drinks, teas, sparkling juices, Kombucha teas, flavored coffees, nectars, flavored waters and more. Tropical Bottling Company can arrange to store or cross-dock your cans in our warehouse until you are ready to ship or export your product. For an additional fee, we can load your product onto trucks for transport or directly onto ocean freight containers going to the Miami port for export.